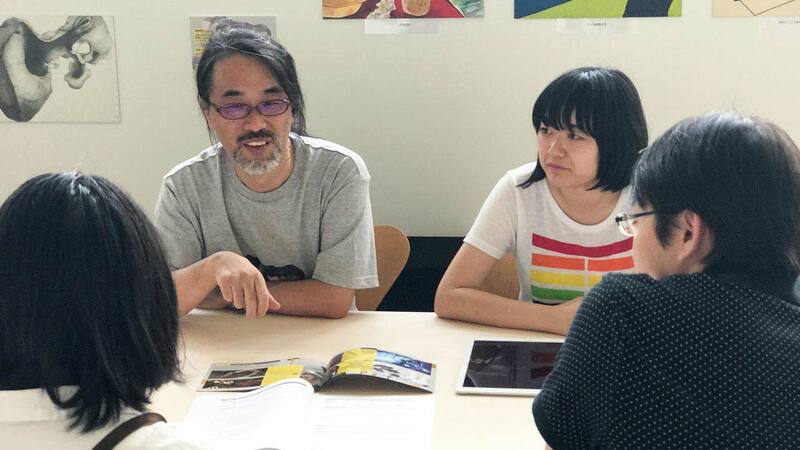 IDD (Tama Art University Graduate School, Information Design Department) is one of the few graduate schools in the world that offer the possibility to conduct research and creation beyond the borders of art and design. There are two research programs and five distinct research groups, with a Master’s Course and a Doctoral Course. 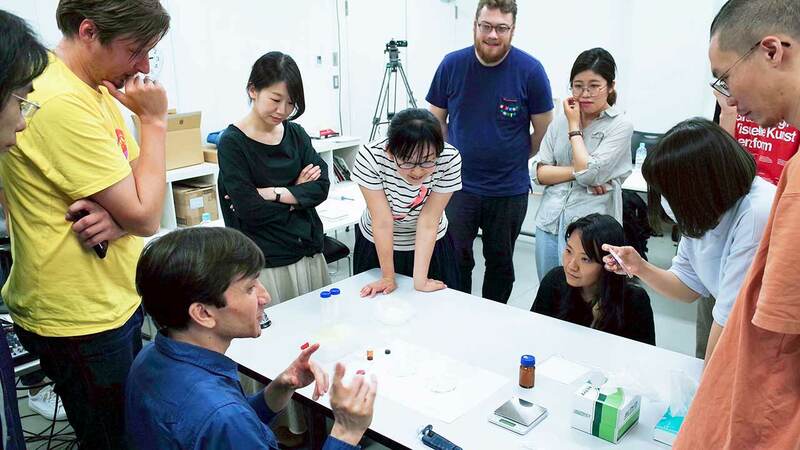 Our research and creative activities are not limited to the domains of art and design, but explore the expressive possibilities in the intersections with other fields such as engineering, anthropology, sociology, cognitive science, and linguistics as well. We also experiment with leading-edge technologies and discover novel ways to utilize existing technologies in order to open up new vistas for art. 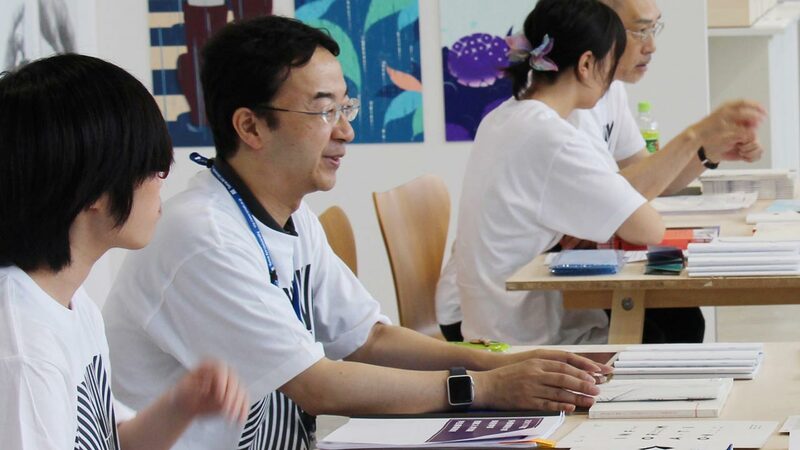 Many of our faculty members are active overseas, and although classes are in principle conducted in Japanese, we also provide support in English and Chinese as necessary. The program consists of two research groups that focus on UI, UX, service design, social design, media design, visual language, information graphics, data visualization, etc. 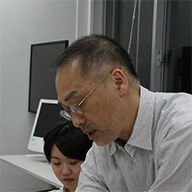 We have been the leaders of Experience Design in Japan for many years. 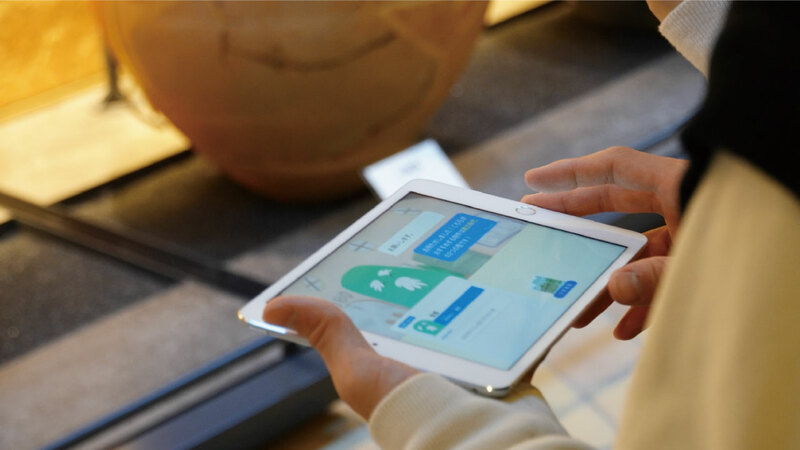 In this research group we consider the users’ and customers’ point of view, and investigate and practice ways of designing products and systems that promote mutual empathy and provide a rich and comfortable experience. 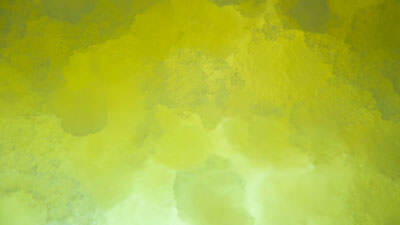 We are breaking new ground for designs for support and communication based on technology and information graphics. 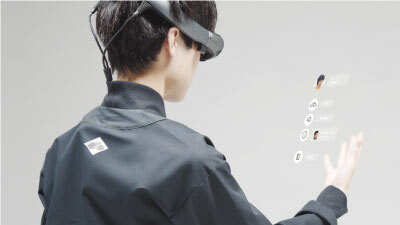 We also focus on research and construction of next-generation media. 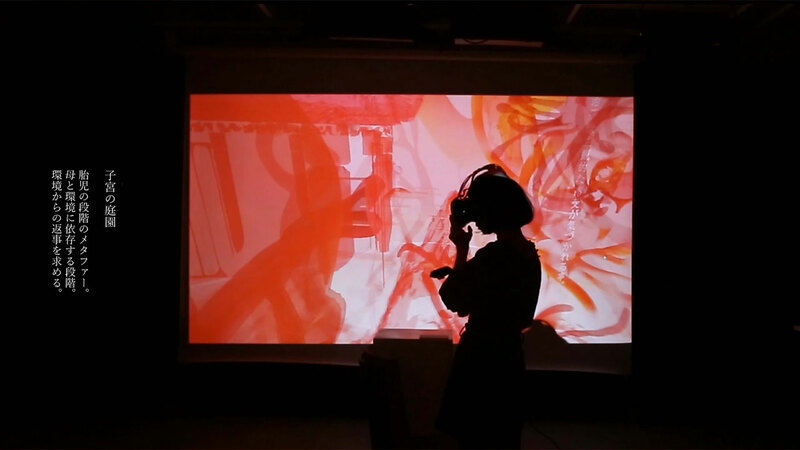 The program is divided into three research groups practicing media art, installation art, audiovisual art, video, photography, CG and other forms of media expressions. 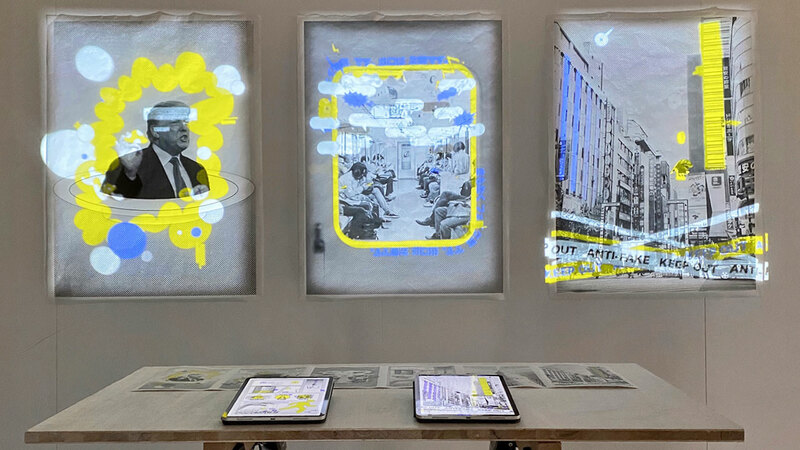 We are pursuing research and creating works in various forms and using various approaches such as installations, codes and algorithms that combine different types of media. We also explore bio media-based post-interaction, and sound art for the age of generative media. With image anthropology as the foundation and using photography, video, acoustics and other image creation techniques, we study “representations of memory and space” that are not limited to visual expressions. 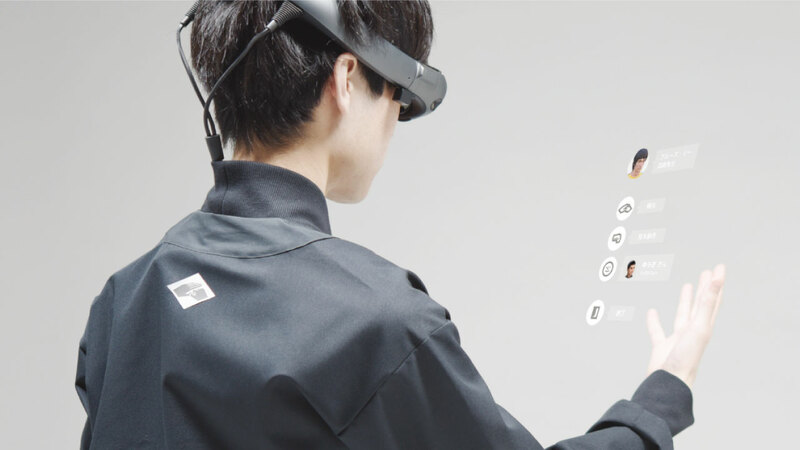 We examine the future of CG, games, anime, manga, installation art and other types of media art in Japan, and explore ways to make the field more mature. We provide work coaching and thesis guidance in each field, and offer advanced courses in information design and media art for a more profound knowledge of these areas. Our multifaceted curriculum also includes open subjects to broaden the field of view to other domains as well. Lectures are presented in seminar form or group teaching form depending on the policies of each research group. Work research and creation guidance, and research report (M1) and Master’s thesis (M2) writing guidance is also provided. Works are evaluated twice annually at review meetings in September and January. 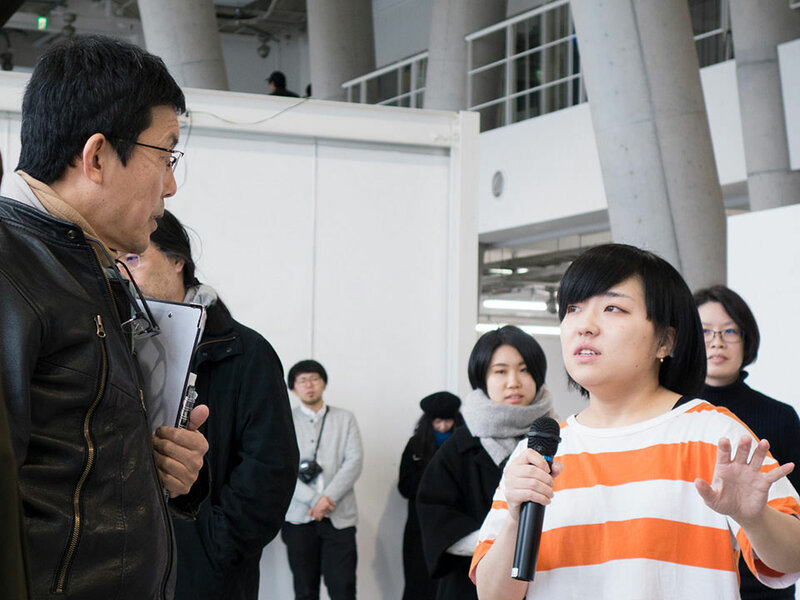 In addition, there is a special workshop during the first term of M1 called “Presentation Work,” which marks the start of research and creation at the graduate school. 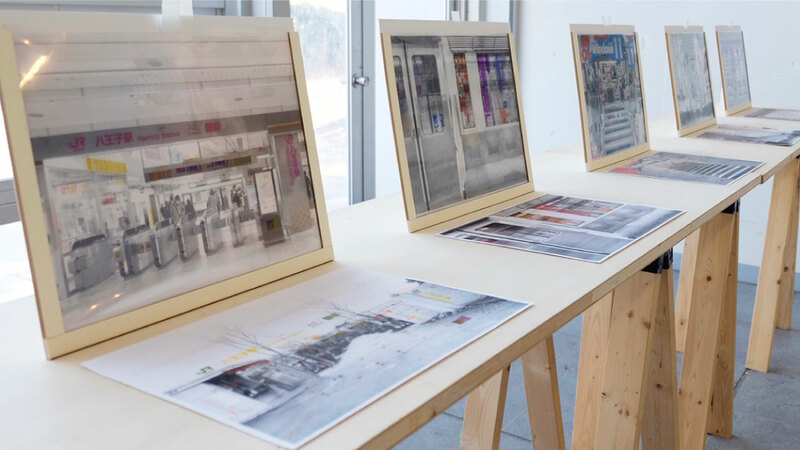 The Information Design Department offers an Advanced Course in Information Design (as part of the Master’s program) and an Advanced Course in Media Art (as part of the Doctoral program). A wide range of lectures in other areas are also available. 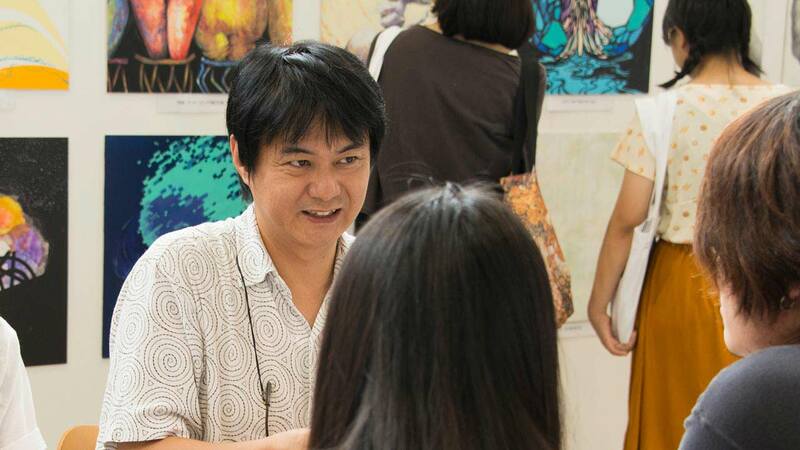 Launched in 2001, Tama Art University Graduate School’s doctoral course aims to train talented people with a broad outlook and comprehensive judgment skills, and conducts research and creation across the whole range of the university. 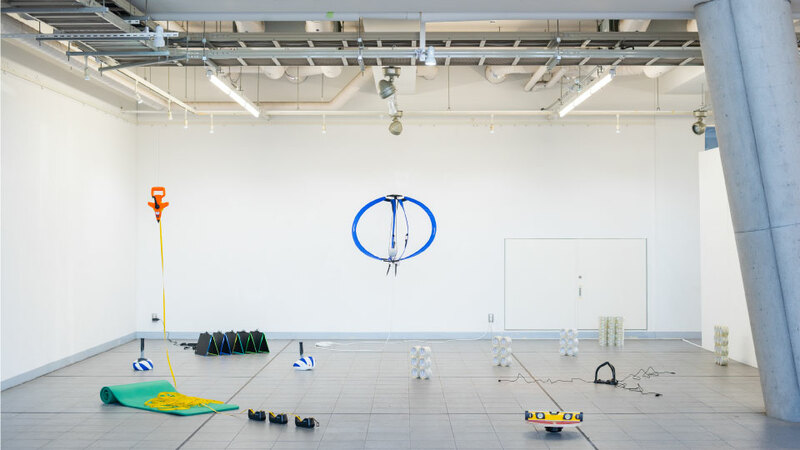 Its primary feature is a balance of practical skills and theory to put art creation research and art theory research on a firm footing, unbound by any particular domains. 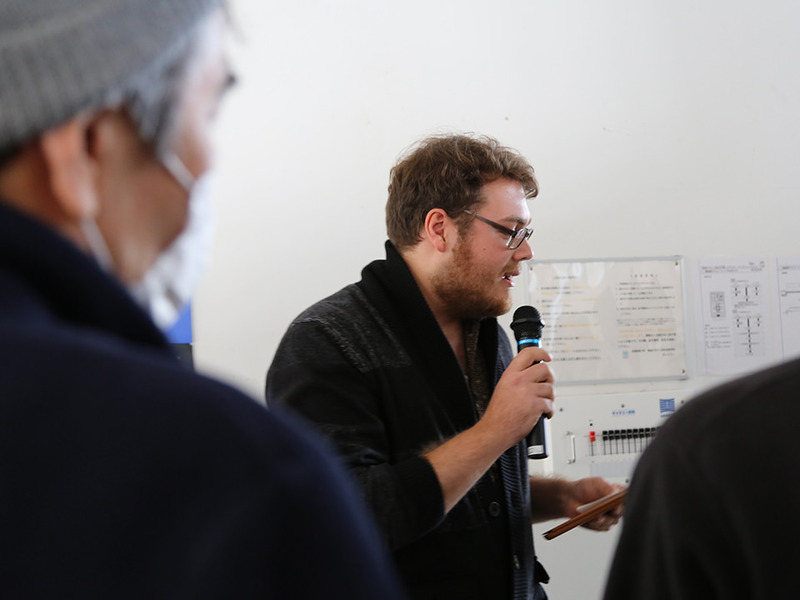 Joint seminars with Master’s students are also held, forming an open space where the students can criticize and inspire each other. 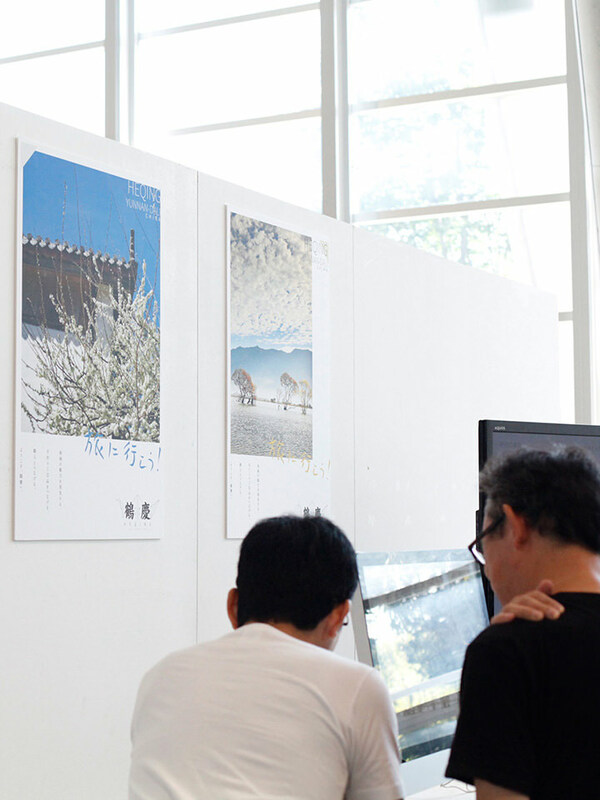 The entrance examination for the Information Design Department’s Doctoral course is held in October every year for the A schedule only. Please notice that there is no B schedule. 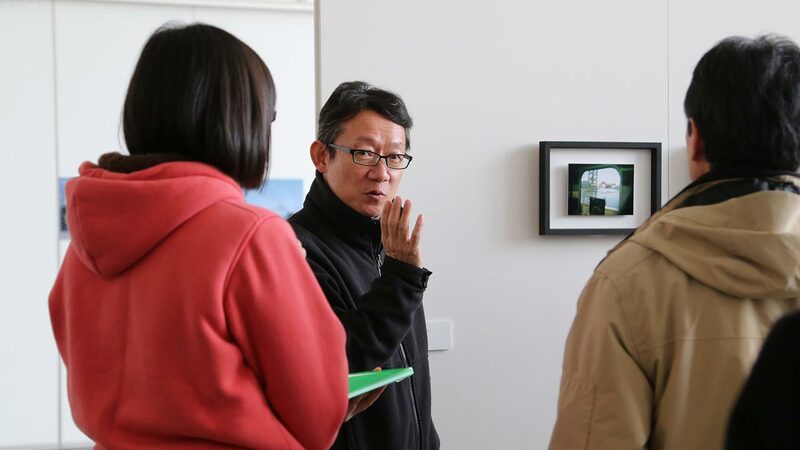 For details of the entrance examination, please refer to the Tama Art University website. If you wish to have a preliminary interview, please check the following page and apply using the preliminary interview application form. Copyright © 2013 Tama Art University, Graduate School of Art and Design. ALL RIGHTS RESERVED. Professor. Ph.D. in Kansei Science. 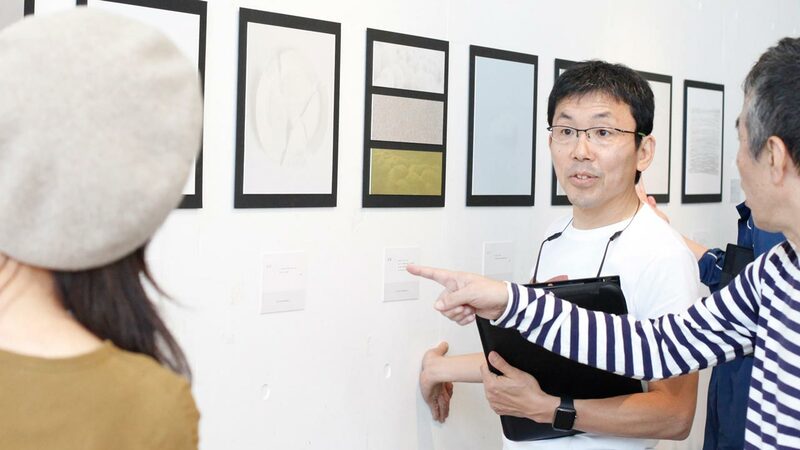 After graduating from the Master’s Program in Art and Design at the University of Tsukuba, he worked as a product designer for GK Co., Ltd., and then got his Ph.D. from the University of Tsukuba in 2005. 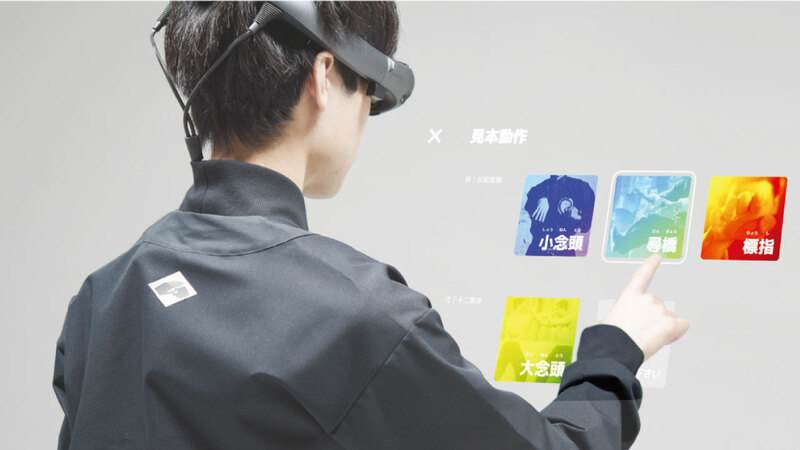 He is interested in on how we experience things, and is studying the education of Interaction Design, with a hint from the mechanisms people use to shape their experiences. He is also researching representational learning and the learning environment in workshops and project-based learning, and is developing software to observe and record learning activities. 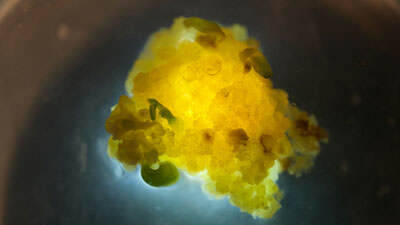 He has received a number of research grants, frequently collaborates with researchers from other fields, and presents his work at conferences and in papers. Associate Professor. Studied engineering at Chiba University. After graduation, he worked as a Product Designer and Interaction Designer in the design department of a computer company. 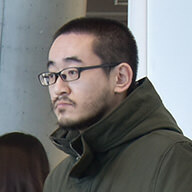 His expertise is in human interface design and service design. He is interested in information structuring and information visualization, interaction with gestures, innovation and design thinking. He is presently working on a number of joint research projects with other companies and has earned both MFA and MBA degrees. 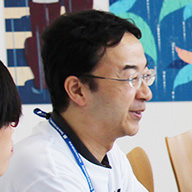 After graduation, he was employed at Mitsubishi Electric in the Design Research Department, working with computers, audio-video equipment, cellular phones, air-conditioning equipment, and other home appliances. 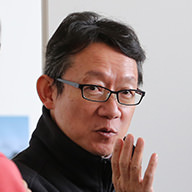 He has designed automotive navigation systems, car audio systems, machine tools and product interfaces, and many of his designs have received the Good Design Award. 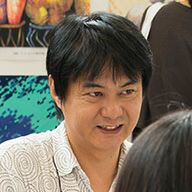 His expertise is in information structuring and expression, information contents design and interface design. Through workshop-based classes, he continues with his research. B.A., Yokohama National University, Department of Education. After completing an M.A. 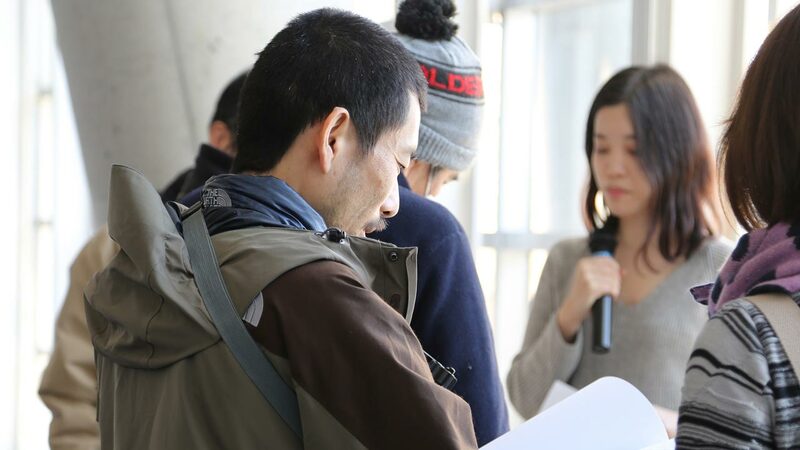 in the Master’s Program of Business and Public Policy at the University of Tsukuba, she received a Ph.D. from the Research Center for Advanced Science and Technology in the Faculty of Engineering at the University of Tokyo. She specializes in educational support systems that utilize Computer Human Interaction. 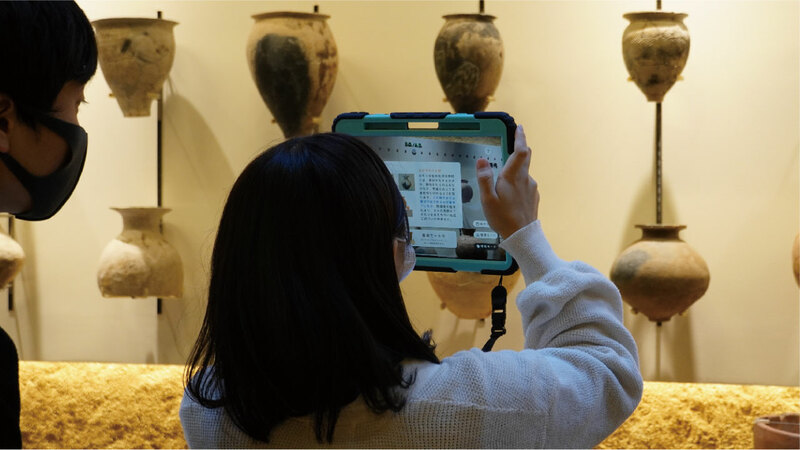 Through work such as handheld devices for museum educational programs and edutainment systems that integrate entertainment with learning, her research deals with the interaction between people and technology. 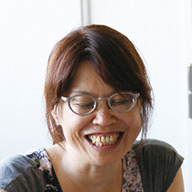 She presents her research papers broadly both in Japan and overseas and has received numerous Grants-in-Aid for Scientific Research for her creative and pioneering research. Graphic designer. 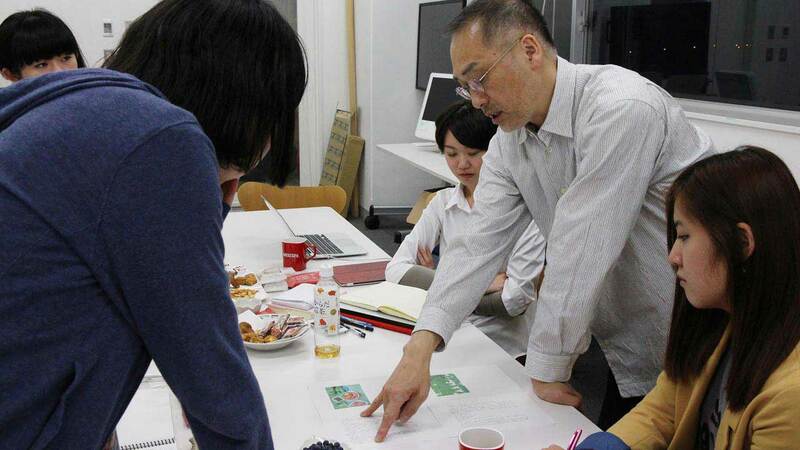 Completed the course requirements for the doctoral program of Visual Information Design at Kyoto City University of Arts. Self-taught in the newly emerging field of computer design since the mid-1980s. He is also well known for his profound knowledge of typography. 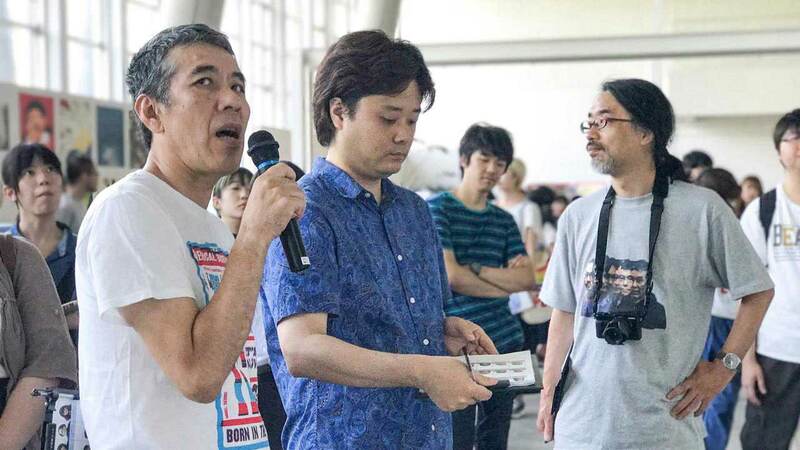 He successively held the posts of art director of the Japanese governmental pavilions “Cyber Nippon-kan” at the Aichi International World Exposition in 2005 and the online Japan pavilion at the Zaragoza International World Exposition in Spain in 2008. 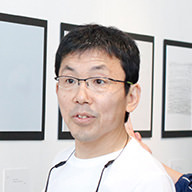 He has published many books on typography, information graphics and digital design such as Infogurafikkusu no choryu (The stream of information graphics), Dezain no fukei (Landscape of design), Nihongo no dezain (Design of Japanese language), Dezain uizu konpyuta (Designing with computers). He received first prize at the MMCA Multimedia Grand Prix 2000. Completed the doctoral course at the University of Tokyo, Graduate School of Engineering, Department of Marine Engineering. After researching nonlinear computational fluid dynamics and artifactual engineering (design), he took up his current post in 1998. Since 2015, he is the director of the Media Center, and also serves as a project leader. He continues to explore the world of hybrid media art that crosses and combines various fields like satellite art (the ARTSAT project), bio media art, natural intelligence and intelligence aesthetics, sound performances using live coding and natural instruments, etc. 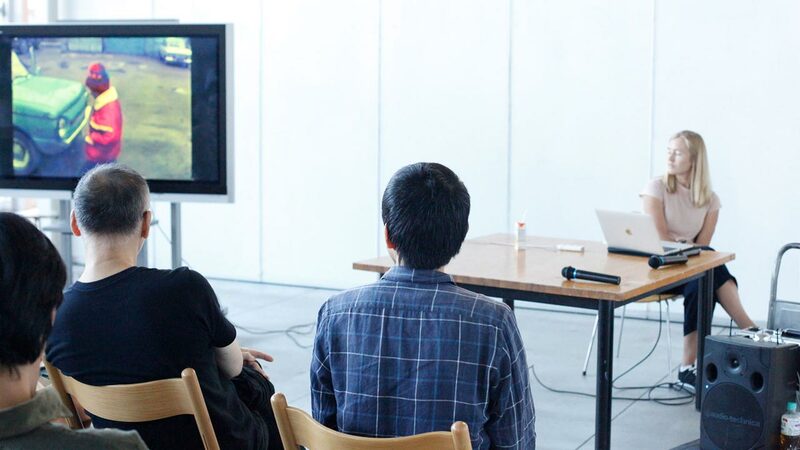 ARTSAT1: INVADER won an Award of Distinction in the Hybrid Art category at Ars Electronica 2015. Completed graduate school at Tama Art University. Using his own devices and software, he creates media art, net art, live performances, video, sculptures, etc. 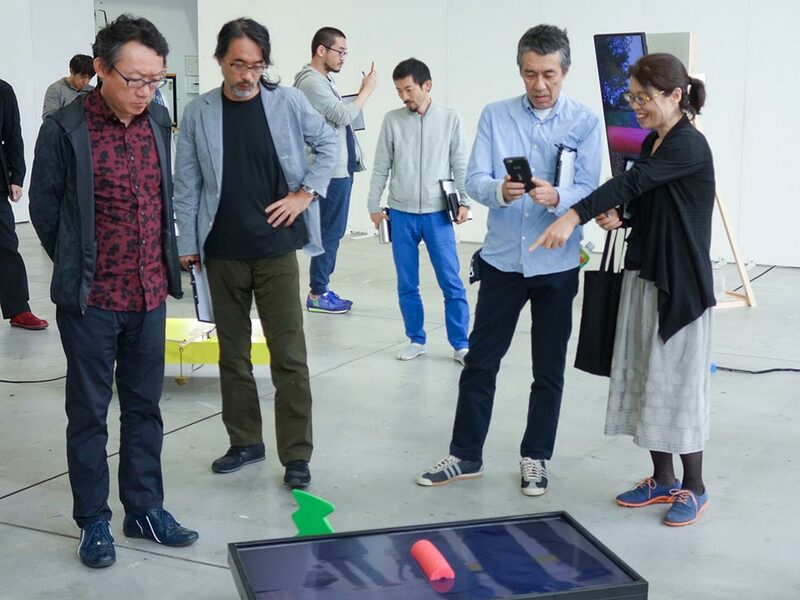 Major exhibitions include “Internet Art Future – Reality in Post Internet Era” (ICC, Tokyo, 2012), and the solo shows “Skincare” (SOBO, Tokyo, 2015) and “Board Ooze Out” (Gallery Midori.so, Tokyo, 2015). Graduated from the Department of Political Science, School of Political Science and Economics, Waseda University. A Gasei Scholarship led to a long stay in South America, and from 1985 he was based in Paris where he was active as a photographer and writer. In 2002, he was appointed researcher at Wolfson College, University of Oxford. 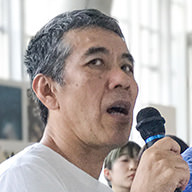 In 2007, he was the commissioner of the Japanese pavilion at the Venice Biennale, and in 2016 he was the artistic director of the Aichi Triennale. He has received the Konica Plaza Encouragement Award, the Multimedia Grand Prix, the Suntory Art Award, the Ina Nobuo Award, etc. Completed the Masters’ course at Musashino Art University Graduate School of Art and Design (Visual Communication Design). 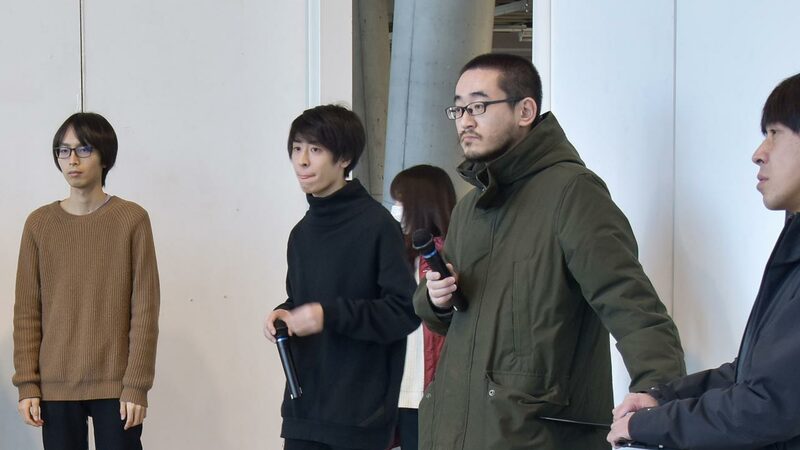 In parallel with presenting media art works at museums both in Japan and abroad, he is also active in fields like games, digital contents, commercials, stage recording and stage visuals. 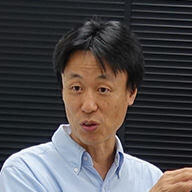 In 2005, he edited the book Eizou jouhougaku nyuumon (An Introduction to Visual Informatics). 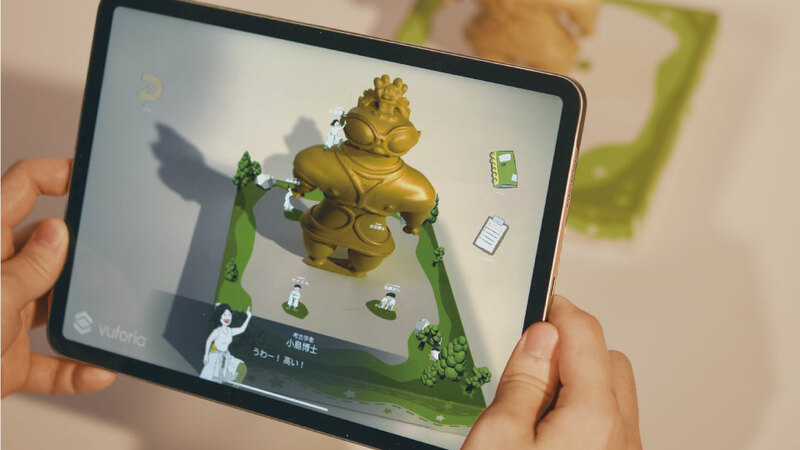 He has produced videos for exhibitions such as the Shanghai World Fair Japanese Industrial Pavilion (2010), the Chagall Exhibition (2013) and the Swiss Design Exhibition (2015). His “Video Dance” won the Grand Prix in the Music & Dance category at the International High-Definition Festival in Geneva, Switzerland, in 1995. Video artist. Completed the Master’s Program in Art & Design (Plastic Arts and Mixed Media), Tsukuba University. 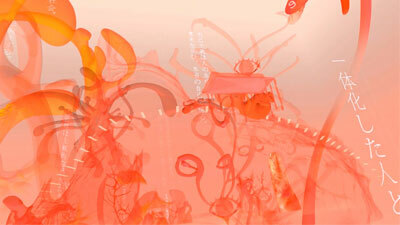 Pursuing visual expressions centered on CG, he directs SFX and concert visuals. Honorable Mention at the 16th Japanese Contemporary Art Exhibition, 1983, winner of the 1st Japan Art and Culture Promotion Award Multimedia Grand Prix, 1994, the MMA Chairman Award, etc. Light artist. 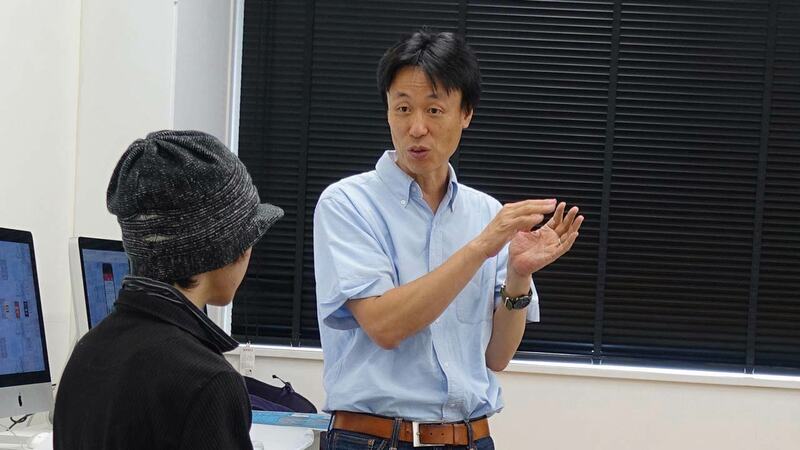 Completed the Master’s Program in Art & Design, Tsukuba University. His works include interactive installations, and “rayographies” that react to human shadows. 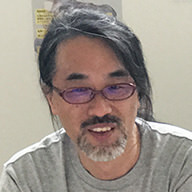 He is also a frequent collaborator, and has worked on electric costumes for the singer Sachiko Kobayashi and stage sets for the dance company Pappa Tarahumara. 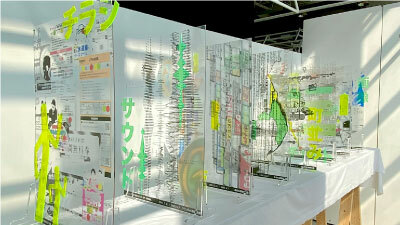 His “I Dreamt I Was Dreaming” won the ARTEC ’95 runner-up award, and “Geo-Sphere” won the L’Oreal Encouragement Award. The 2.5 dimensional mask is a paper-craft mask that anybody can make easily. All you need to do is download and print out the paper pattern on an ordinary A4 printer. 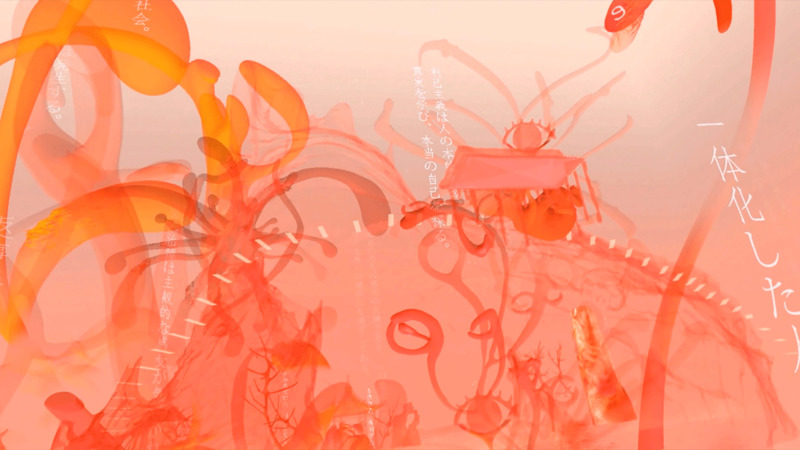 Do you want to jump into the 2.5-dimensional world – a world between 2D and 3D? 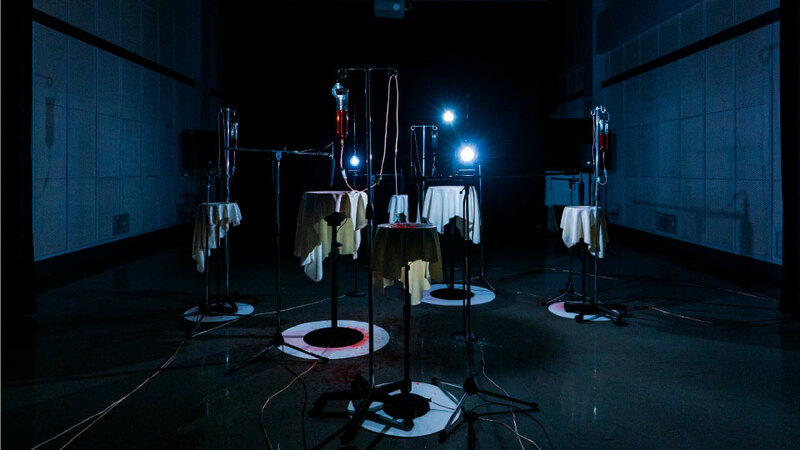 This installation references late-18th-century mechanical instruments, early electronic instruments, and other unique or transitional examples from musical history of the linkage between technology and creative expression. A curious group of devices made of noise generators, oscillators, and megaphones spins a fictional tale of plausible history by severing the past from the pinnacle of the present. The theme of my work and research is light not as a tool, but as a sign of the breath of life, “light that makes you feel life.” This piece explores what a combination of an LED (human-controlled light) and a callus (a mass of living cells) might look like, and how to represent light that makes you feel life. A sign that stands out thanks to the rainwater on a rainy day. 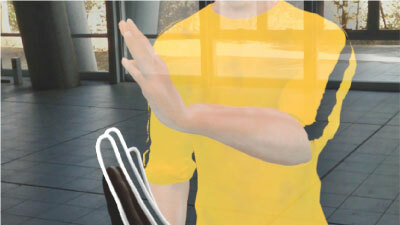 Created as an extension of tactile research, the sign points to the comfortable feeling of touching rain. A generator for a family of 3D models, with a coordinate plane as the interface. For the chair, which was my graduation work, I used coordinate transformations inspired by the fish transformation diagrams in D’Arcy Thompson’s Of Growth and Form. 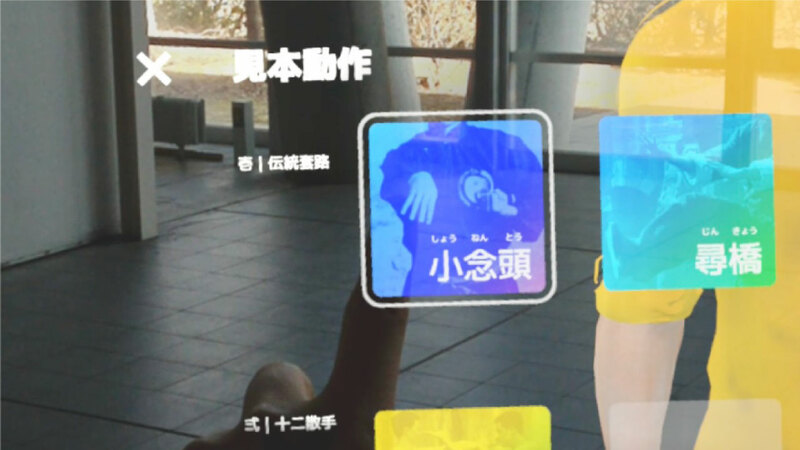 A work that visualizes a story using AR technology, while rotating a cylindrical object such as a cup. By using a cylindrical shape for information visualization, AR expressions are possible from all angles, and this was applied in packaging design as a new method for advertising.